56KW/70KVA PORTABLE DIESEL GENERATOR SET – CONTRACTORS MODEL. Complete with Voltage Selector Switch for 480v-3p, 208y/120v, 3ph-1ph, and 120/240v-1ph. Comes with complete analog engine and electric meters, full load lug panel, 2 x 120v GFCI duplex, multiple 50a x 125/250v California Receptacles. Unit mounted on skid base with built-in 24 hour fuel tank. ELECTRICAL POWER DISTRIBUTION ADD-ON’S: Specialized electrical distribution panels added to gen-set package with Client’s specific take-off receptacles and switch-gear requirements. 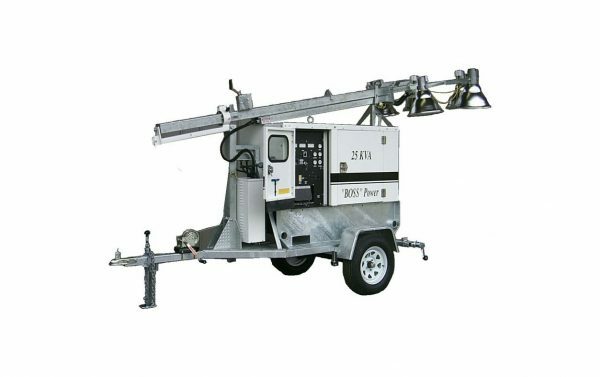 LIGHT TOWER KITS: All Boss Generator sets can be equipped with add-on LIGHT TOWER KITS. OPTIONAL: Dual axle trailer with built in fuel supply, DOT approved towing package. Bossltg is a Registered OEM for MQ POWER GEN-SET PACKAGES. 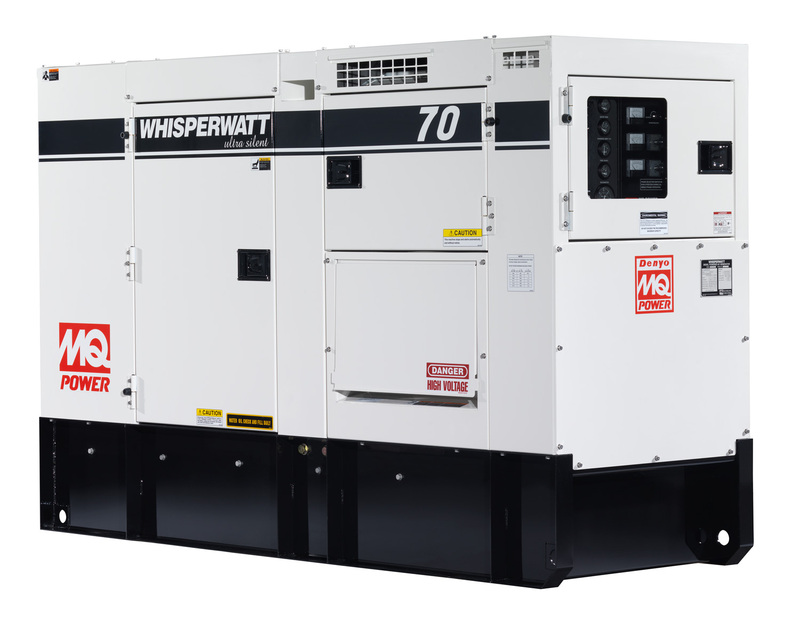 56KW/70KVA PORTABLE DIESEL GENERATOR SET – CONTRACTORS MODEL: Diesel Engine Safety Operating and Shutdown Features. Residential Quiet – Sound Attenuated Enclosure, low 60s db. Control Panel has both Engine and Electrical Analog Vital Gauges with Standard Engine Controls. Distribution Panel includes both 480v 3-phase and 208Y/120v, 1-Phase Power Outlets. Gen-set mounted on a Skid base with built in fuel tank and environmental containment cell. Trailer with added fuel tank optional. 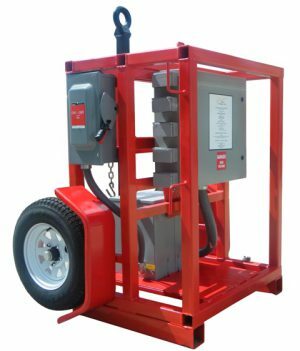 Skid is mounted portable generator set attached to a dual axle Galvanized Trailer frame equipped with electric brakes, safety chains and DOT approved running lights. 16in. radial tires with white spoke rims protected by full length Fenders. 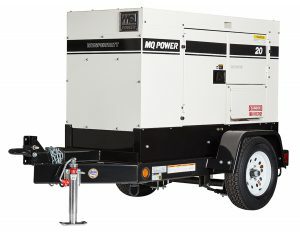 MQ POWER Water-Cooled Diesel Generator Set with Engine safety shutdowns. Battery with 12 volt electric key start. 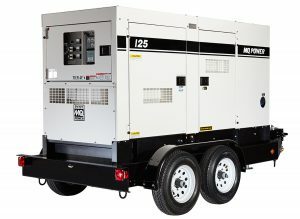 70kva/56kw, 60hz, 1800 RPM Generator. Control Panel with Analog Engine and Electrical gauges. Distribution panel with switchable voltage. Sound Attenuated Gen-set Enclosure with Sound Reduction Air-Inlet Baffles. Quiet type muffler. Skid base design with built in fuel tank mounted within a fuel containment cell. Tank sized for 24 hours of operating runtime. Skid Base mounted to a towable trailer, dual axles with 16in. tires, protective fenders, with dual safety chains and DOT running lights. Gen-set Enclosure POWDER COATED with Corrosion-Resistant WHITE paint. FEATURING: Skid base design so that Gen-set can be detached from towable trailer for stationary use. Skid base has built-in extended run fuel tank with environmental containment cell. POWER DISTRIBUTION: 2 X 20a – 120v GFCI duplex outlets, 1 x 30amp, 125v twist lock, 2 x 50a, 125/250v, California Style Twist Lock receptacles with a 5 x lug full load panel. Unit has a Main breaker with individual breakers for each receptacle. 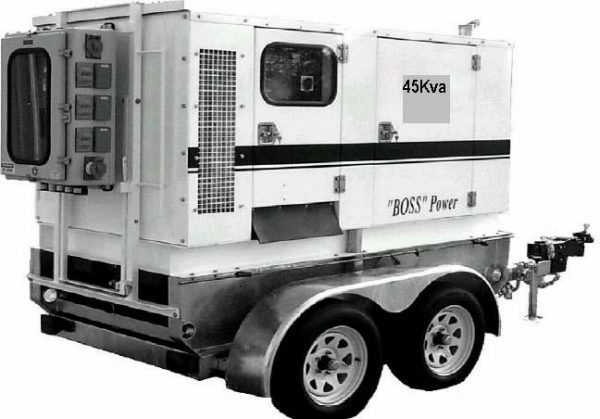 LIGHT TOWER PACKAGE: All Boss portable diesel generator sets can be equipped with a portable light tower package. Look under LIGHT TOWERS for Light Tower Kits.